The first flight of Columbia (STS-1) was commanded by John Young, a veteran from the Gemini and Apollo programs who was the ninth person to walk on the Moon in 1972, and piloted by Robert Crippen, a rookie astronaut originally selected to fly on the military's Manned Orbital Laboratory (MOL) spacecraft, but transferred to NASA after its cancellation, and served as a support crew member for the Skylab and Apollo-Soyuz missions. STS-1 was the first orbital spaceflight of NASA's Space Shuttle program. The first orbiter, Columbia, launched on 12 April 1981 and returned on 14 April, 54.5 hours later, having orbited the Earth 36 times. Columbia carried a crew of two – mission commander John W. Young and pilot Robert L. Crippen. It was the first American manned space flight since the Apollo–Soyuz Test Project in 1975. STS-1 was also the only maiden test flight of a new American spacecraft to carry a crew, though it was preceded by atmospheric testing of the orbiter and ground testing of the space shuttle system. John Watts Young was an American astronaut, naval officer and aviator, test pilot, and aeronautical engineer. He became the ninth person to walk on the Moon as Commander of the Apollo 16 mission in 1972. Young enjoyed the longest career of any astronaut, becoming the first person to fly six space missions over the course of 42 years of active NASA service. He is the only person to have piloted, and been commander of, four different classes of spacecraft: Gemini, the Apollo Command/Service Module, the Apollo Lunar Module, and the Space Shuttle. Columbia spent 610 days in the Orbiter Processing Facility (OPF), another 35 days in the Vehicle Assembly Building (VAB), and 105 days on Pad 39A before finally lifting off. Columbia was successfully launched on April 12, 1981, the 20th anniversary of the first human spaceflight (Vostok 1), and returned on April 14, 1981, after orbiting the Earth 36 times, landing on the dry lakebed runway at Edwards Air Force Base in California. Columbia then undertook three further research missions to test its technical characteristics and performance. Its first operational mission, with a four-man crew, was STS-5, which launched on November 11, 1982. 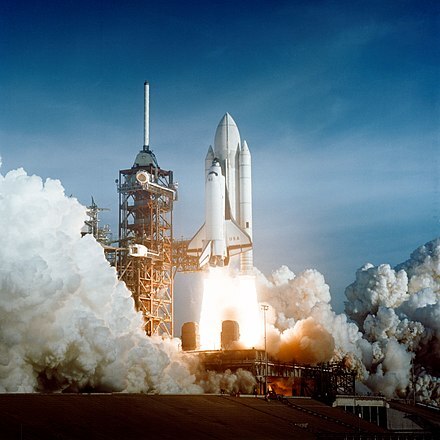 At this point Columbia was joined by Challenger , which flew the next three shuttle missions, while Columbia underwent modifications for the first Spacelab mission. 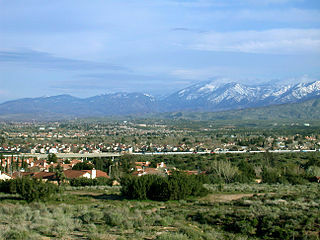 Edwards Air Force Base (AFB) is a United States Air Force installation located in Kern County in southern California, about 22 miles (35 km) northeast of Lancaster and 15 miles (24 km) east of Rosamond. In 1983, Columbia, under the command of John Young on what was his sixth spaceflight, undertook its second operational mission (STS-9), in which the Spacelab science laboratory and a six-person crew was carried, including the first non-American astronaut on a space shuttle, Ulf Merbold. After the flight, Columbia spent 18 months at the Rockwell Palmdale facility beginning in January 1984, undergoing modifications that removed the Orbiter Flight Test hardware and bringing it up to similar specifications as those of its sister orbiters. At that time the shuttle fleet was expanded to include Discovery and Atlantis . STS-9 was the ninth NASA Space Shuttle mission and the sixth mission of the Space Shuttle Columbia. Launched on November 28, 1983, the ten-day mission carried the first Spacelab laboratory module into orbit. Dr. Ulf Dietrich Merbold is the first West German citizen and second German native to have flown in space. He is also the first member of the European Space Agency Astronaut Corps to participate in a spaceflight mission and the first non-US citizen to reach orbit in a US spacecraft. In 1983, he and Byron Lichtenberg became the first Payload Specialists to fly on the shuttle. STS-61-C was the 24th mission of NASA's Space Shuttle program, and the seventh mission of Space Shuttle Columbia. It was the first time that Columbia, the first space-rated Space Shuttle orbiter to be constructed, had flown since STS-9. The mission launched from Florida's Kennedy Space Center on 12 January 1986, and landed six days later on 18 January. STS-61-C's seven-person crew included the second African-American shuttle pilot, future NASA Administrator Charles Bolden, the first Costa Rican-born astronaut, Franklin Chang-Diaz, and the second sitting politician to fly in space, Representative Bill Nelson (D-FL). It was the last shuttle mission before the Space Shuttle Challenger disaster, which occurred just ten days after STS-61-C's landing. 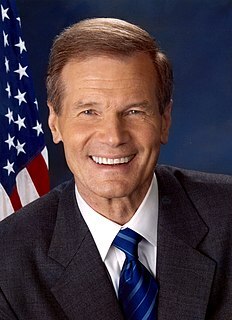 Clarence William Nelson II is an American politician, who served as United States Senator from Florida from 2001 to 2019. 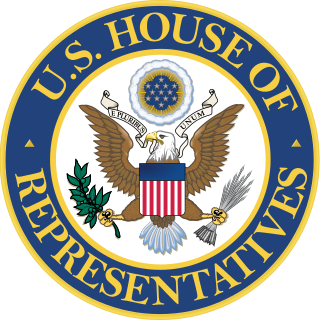 A member of the Democratic Party, he previously served in the Florida House of Representatives from 1972 to 1978 and in the United States House of Representatives from 1979 to 1991. In January 1986, he became the second sitting member of Congress to fly in space when he served as a payload specialist on the Space Shuttle Columbia. Before entering politics he served in the U.S. Army Reserve during the Vietnam War. The next shuttle mission, STS-51-L, was undertaken by Challenger. It was launched on January 28, 1986, ten days after STS-61-C had landed, and ended in disaster 73 seconds after launch. In the aftermath NASA's shuttle timetable was disrupted, and Columbia was not flown again until 1989 (on STS-28), after which it resumed normal service as part of the shuttle fleet. Columbia's final successful mission was STS-109, the fourth servicing mission for the Hubble Space Telescope. Its next mission, STS-107, culminated in the orbiter's loss when it disintegrated during reentry, killing all seven of its crew. As the second orbiter to be constructed, and the first able to fly into space, Columbia was roughly 8,000 lb (3,600 kg) heavier than subsequent orbiters such as Endeavour, which were of a slightly different design, and had benefited from advances in materials technology. In part, this was due to heavier wing and fuselage spars, the weight of early test instrumentation that remained fitted to the avionics suite, and an internal airlock that, originally fitted into the other orbiters, was later removed in favor of an external airlock to facilitate Shuttle/Mir and Shuttle/International Space Station dockings. Due to its weight, Columbia could not have used the planned Centaur-G booster (cancelled after the loss of Challenger). The retention of the internal airlock allowed NASA to use Columbia for the STS-109 Hubble Space Telescope servicing mission, along with the Spacehab double module used on STS-107. [ citation needed ] Due to Columbia's heavier weight, it was less ideal for NASA to use it for missions to the International Space Station, though modifications were made to the Shuttle during its last refit in case the spacecraft was needed for such tasks. Externally, Columbia was the first orbiter in the fleet whose surface was mostly covered with High & Low Temperature Reusable Surface Insulation (HRSI/LRSI) tiles as its main thermal protection system (TPS), with white silicone rubber-painted Nomex – known as Felt Reusable Surface Insulation (FRSI) blankets – in some areas on the wings, fuselage and payload bay doors. FRSI once covered almost 25% of the orbiter; the first upgrade resulted in its removal from many areas, and in later flights it was only used on the upper section of the payload bay doors and inboard sections of the upper wing surfaces. The upgrade also involved replacing many of the white LRSI tiles on the upper surfaces with Advanced Flexible Reusable Surface Insulation (AFRSI) blankets (also known as Fibrous Insulation Blankets, or FIBs) that had been used on Discovery and Atlantis. Originally, Columbia had 32,000 tiles – the upgrade reduced this to 24,300. The AFRSI blankets consisted of layers of pure silica felt sandwiched between a layer of silica fabric on the outside and S-Glass fabric on the inside, stitched together using pure silica thread in a 1-inch grid, then coated with a high-purity silica coating. The blankets were semi-rigid and could be made as large as 30" by 30". Each blanket replaced as many as 25 tiles and was bonded directly to the orbiter. The direct application of the blankets to the orbiter resulted in weight reduction, improved durability, reduced fabrication and installation cost, and reduced installation schedule time. All of this work was performed during Columbia's first retrofitting and the post-Challenger stand-down. Despite refinements to the orbiter's thermal protection system and other enhancements, Columbia would never weigh as little unloaded as the other orbiters in the fleet. The next-oldest shuttle, Challenger, was also relatively heavy, although 2,200 lb (1,000 kg) lighter than Columbia. Until its last refit, Columbia was the only operational orbiter with wing markings consisting of an American flag on the port (left) wing and the letters "USA" on the starboard (right) wing. Challenger, Discovery, Atlantis and Endeavour all, until 1998, bore markings consisting of the letters "USA" above an American flag on the left wing, and the pre-1998 NASA "worm" logo afore the respective orbiter's name on the right wing. ( Enterprise , the test vehicle which was the prototype for Columbia, originally had the same wing markings as Columbia but with the letters "USA" on the right wing spaced closer together; Enterprise's markings were modified to match Challenger in 1983.) The name of the orbiter was originally placed on the payload bay doors much like Enterprise but was placed on the crew cabin after the Challenger disaster so that the orbiter could be easily identified while in orbit. From its last refit to its destruction, Columbia bore markings identical to those of its operational sister orbiters – the NASA "meatball" logo on the left wing and the American flag afore the orbiter's name on the right; only Columbia's distinctive wing "chines" remained. These black areas on the upper surfaces of the shuttle's forward wing were added because, at first, shuttle designers did not know how reentry heating would affect the craft's upper wing surfaces. [ citation needed ] The "chines" allowed Columbia to be easily recognized at a distance, as opposed to the subsequent orbiters. The "chines" were added after Columbia arrived at KSC in 1979. Another unique external feature, termed the "SILTS" pod (Shuttle Infrared Leeside Temperature Sensing),  was located on the top of Columbia's vertical stabilizer, and was installed after STS-9 to acquire infrared and other thermal data. Though the pod's equipment was removed after initial tests, NASA decided to leave it in place, mainly to save costs, along with the agency's plans to use it for future experiments. The vertical stabilizer was later modified to incorporate the drag chute first used on Endeavour in 1992. Columbia landing at the Kennedy Space Center following STS-62. Columbia was also originally fitted with Lockheed-built ejection seats identical to those found on the SR-71 Blackbird. These were active for the four orbital test flights, but deactivated after STS-4, and removed entirely after STS-9. Columbia was also the only spaceworthy orbiter not delivered with head-up displays for the Commander and Pilot, although these were incorporated after STS-9. Like its sister ships, Columbia was eventually retrofitted with the new MEDS "glass cockpit" display and lightweight seats. Had Columbia not been destroyed, it would have been fitted with the external airlock/docking adapter for STS-118, an International Space Station assembly mission, originally planned for November 2003. Columbia was scheduled for this mission due to Discovery being out of service for its Orbital Maintenance Down Period, and because the ISS assembly schedule could not be adhered to with only Endeavour and Atlantis. Columbia's 'career' would have started to wind down after STS-118. It was to service the Hubble Space Telescope two more times between 2004 and 2005, but no more missions were planned for it again except for a mission designated STS-144 where it would retrieve the Hubble Space Telescope from orbit and bring it back to Earth. [ citation needed ] Following the Columbia accident, NASA flew the STS-125 mission using Atlantis , combining the planned fourth and fifth servicing missions into one final mission to Hubble. Because of the retirement of the Space Shuttle fleet, the batteries and gyroscopes that keep the telescope pointed will eventually fail also because of the magnifier screen, which would result in its reentry and break-up in Earth's atmosphere. A "Soft Capture Docking Mechanism", based on the docking adapter that was to be used on the Orion spacecraft, was installed during the last servicing mission in anticipation of this event. Columbia flew 28 missions, gathering 300.74 days spent in space with 4,808 orbits and a total distance of 125,204,911 miles (201,497,772 km) up until STS-107. Despite being in service during the Shuttle-Mir and International Space Station programs, Columbia did not fly any missions that visited a space station. The other three active orbiters at the time had visited both Mir and the ISS at least once. Columbia was not suited for high-inclination missions. 1 1981, April 12 STS-1 39-A Edwards Air Force Base First shuttle mission. 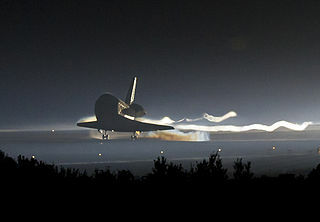 First and only space shuttle landing at White Sands. 28 2003, January 16 STS-107 39-A Did not land (Planned to land at Kennedy Space Center) A multi-disciplinary microgravity and Earth science research mission. Shuttle destroyed during re-entry on February 1, 2003 and all seven astronauts on board killed. * Mission cancelled following suspension of shuttle flights following the Challenger disaster. ** Mission flown by Endeavour due to loss of Columbia on STS-107. *** Mission flown by Discovery due to loss of Columbia on STS-107. The report delved deeply into the underlying organizational and cultural issues that the Board believed contributed to the accident. The report was highly critical of NASA's decision-making and risk-assessment processes. Further, the board determined that, unlike NASA's early claims, a rescue mission would have been possible using the Shuttle Atlantis, which was essentially ready for launch, and might have saved the Columbia crewmembers. The nearly 84,000 pieces of collected debris of the vessel are stored in a 16th-floor office suite in the Vehicle Assembly Building at the Kennedy Space Center. The collection was opened to the media once and has since been open only to researchers. Unlike Challenger, which had a replacement orbiter built, Columbia did not. The Shuttle's final crew was honored in 2003 when the United States Board on Geographic Names approved the name Columbia Point for a 13,980-foot (4,260 m) mountain in Colorado's Sangre de Cristo Mountains, less than a half-mile from Challenger Point, a peak named after America's other lost Space Shuttle. The Columbia Hills on Mars were also named in honor of the crew, and a host of other memorials were dedicated in various forms. The graphic novel Orbiter by Warren Ellis and Colleen Doran was dedicated to the "lives, memories and legacies of the seven astronauts lost on space shuttle Columbia during mission STS-107." Laurel Clark's wake up call on STS – 107 was Runrig's "Running to the Light". Laurel took The Stamping Ground CD into space with her and when the Shuttle exploded the CD was found back on Earth, and presented to the band. "Somewhere", the final track on the band's last studio album, The Story, ends with a recording of her voice introducing the song. Fans of the original Star Trek television series were largely responsible for NASA naming the first Space Shuttle Enterprise. In the television series Star Trek: Enterprise both the first and second starships of the human-built NX-Class, registry numbers NX-01 & NX-02 respectively, were named in honor of pre-existing NASA Space Shuttles. The second vessel's name was first revealed in the season 3 episode "E²" to be Columbia , in honor of the Space Shuttle Columbia following its destruction on February 1, 2003. The uniforms on NX-02 Columbia bear a crew patch depicting 7 stars, in honor of the astronauts who died in the accident. In Pokémon Red and Blue and Pokémon Yellow a model of the Space Shuttle can be seen on the second floor of the Pewter City Museum. While it was specifically named as Columbia in the original games, in the 2004 remakes Pokémon FireRed and LeafGreen, the model was simply identified as "Space Shuttle". The 2016 Virtual Console release of the original games still identified the Space Shuttle as Columbia. The beginning of Kate Bush's song "Hello Earth", from the Hounds of Love album, samples signals to and from Columbia during a re-entry during the early 1980s. Homer Hickam's novel Back to the Moon is mostly set on Columbia. The structural differences between Columbia and the other shuttles are central to the plot. In the finale of the first season of The West Wing , "What Kind of Day Has It Been", Columbia does not land on schedule due to technical problems with a door mechanism. Toby Ziegler's brother is on board. The shuttle lands successfully by the end of the episode. The rock band Rush wrote and recorded the song "Countdown" about the launch of STS-1. All three members of the group were present at the launch, and the credits of the album Signals dedicated the song to "the astronauts Young & Crippen and all the people of NASA for their inspiration and cooperation." The shuttle features in opening chapters of the 1997 Stephen Baxter novel 'Titan', where it is portrayed carrying out mission STS-143. Crew members from Mission STS-73 (Ken Bowersox, Catherine G. Coleman, Kathryn C. Thornton, Frederick W. Leslie, and Albert Sacco) were featured in the Home Improvement television show in the episode "Fear of Flying" as well as scenes from the shuttle mission. STS-27 was the 27th NASA Space Shuttle mission, and the third flight of Space Shuttle Atlantis. Launching on 2 December 1988 on a four-day mission, it was the second shuttle flight after the Space Shuttle Challenger disaster of January 1986. STS-27 carried a classified payload for the U.S. Department of Defense, ultimately determined to be a Lacrosse surveillance satellite. The vessel's heat shielding was substantially damaged during lift-off, impacting the right wing, and crew members thought that they would die during reentry. This was a situation that was similar to the one that would prove fatal 15 years later on STS-107, but compared to the damage that Columbia had sustained on STS-107, despite Atlantis experience more extensive damage than Columbia had sustained, the damage was over less critical areas and the missing tile was over an antenna which gave extra protection to the wing. The mission landed successfully, although intense heat damage needed to be repaired. STS-28 was the 30th NASA Space Shuttle mission, the fourth shuttle mission dedicated to United States Department of Defense purposes, and the eighth flight of Space Shuttle Columbia. The mission launched on 8 August 1989 and traveled 2.1 million miles during 81 orbits of the Earth, before landing on runway 17 of Edwards Air Force Base, California, on 13 August. STS-28 was also Columbia's first flight since January 1986, when it had flown STS-61-C, the mission directly preceding the Challenger disaster of STS-51-L. The mission details of STS-28 are classified, but the payload is widely believed to have been the first SDS-2 communications satellite. The altitude of the mission was between 295 kilometers (183 mi) and 307 kilometers (191 mi). 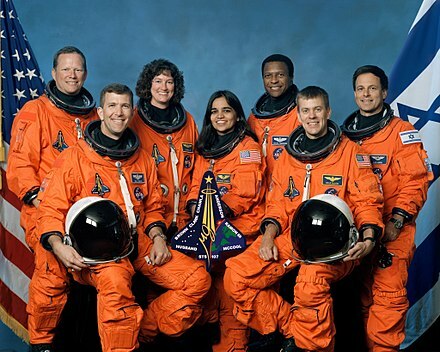 STS-114 was the first "Return to Flight" Space Shuttle mission following the Space Shuttle Columbia disaster. Discovery launched at 10:39 EDT, 26 July 2005. The launch, 907 days after the loss of Columbia, was approved despite unresolved fuel sensor anomalies in the external tank that had prevented the shuttle from launching on 13 July, its originally scheduled date. STS-115 was a Space Shuttle mission to the International Space Station (ISS) flown by Space Shuttle Atlantis. It was the first assembly mission to the ISS after the Columbia disaster, following the two successful Return to Flight missions, STS-114 and STS-121. STS-115 launched from Pad 39-B at the Kennedy Space Center on 9 September 2006 at 11:14:55 EDT. STS-117 was a Space Shuttle mission flown by Space Shuttle Atlantis, launched from pad 39A of the Kennedy Space Center on 8 June 2007. Atlantis lifted off from the launch pad at 19:38 EDT. Damage from a hail storm on 26 February 2007 had previously caused the launch to be postponed from an originally-planned launch date of 15 March 2007. The launch of STS-117 marked the 250th orbital human spaceflight. STS-125, or HST-SM4, was the fifth and final space shuttle mission to the Hubble Space Telescope (HST). The launch of the Space Shuttle Atlantis occurred on 11 May 2009 at 2:01 pm EDT. Landing occurred on 24 May at 11:39 am EDT, with the mission lasting a total of just under 13 days. 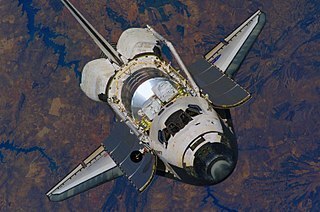 ↑ "NASA - Space Shuttle Overview: Columbia (OV-102)". www.nasa.gov. ↑ Harwood, William (October 12, 2009). "STS-129/ISS-ULF3 Quick-Look Data" (PDF). CBS News . Retrieved November 30, 2009. ↑ "Shuttle Orbiter Columbia (OV-102)". science.ksc.nasa.gov. NASA. February 1, 2003. Retrieved July 21, 2017. 1 2 Slovinac, Patricia; Deming, Joan. "Avionics Systems Laboratory/Building 16. Historical Documentation". NASA Technical Reports Server. NASA. hdl:2060/20110002109. ↑ "March 19, 1981: Shuttle Columbia's First Fatalities". Wired News. March 19, 2009. Retrieved July 29, 2009. 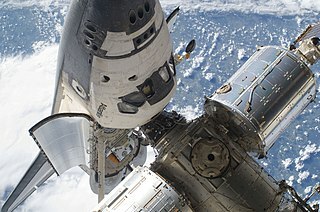 ↑ "Space shuttle worker dies in fall at launch pad". MSNBC. March 14, 2011. Retrieved August 2, 2011. ↑ Chris Gebhardt (February 1, 2011). "Space Shuttle Columbia: A New Beginning and Vision". www.nasaspaceflight.com. ↑ "Shuttle Orbiter Columbia (OV-102)". NASA/KSC. Retrieved November 7, 2012. ↑ "Orbiter Overhaul: The Columbia weight loss plan". Spaceflight Now. April 14, 2000. Retrieved July 17, 2009. ↑ "Orbiter Overhaul: Flying into the future". Spaceflight Now. April 14, 2000. Retrieved July 17, 2009. ↑ Lardas, Mark (2012). Space Shuttle Launch System: 1972-2004. Osprey Publishing. p. 35. 1 2 "Orbiter Thermal Protection System (PDF)" (PDF). NASA's Kennedy Space Center Public Affairs Office. 2006. Archived from the original (PDF) on June 10, 2011. Retrieved June 7, 2011. ↑ "Advanced Flexible Reusable Surface Insulation Blankets". NASA. April 7, 2002. Retrieved June 7, 2011. ↑ Ion., Petrescu, Florian (2011). Near the flying time. [Place of publication not identified]: Lulu Com. p. 522. ISBN 978-1447752813. OCLC 941886670. ↑ "Columbia Crew Survival Investigation Report" (PDF). nasa.gov. National Aeronautics and Space Administration. 30 December 2008. Retrieved 31 March 2016. ↑ "Shuttle Columbia's wreckage finds final resting place". The New York Times. February 8, 2004. Archived from the original on November 13, 2010. Retrieved May 2, 2010. ↑ "Columbia's Arlington". Collect Space. February 1, 2004. ↑ Nasa.gov: Columbia Crew Profiles website . Retrieved July 23, 2012. ↑ Patricia Huffman Smith Museum website Archived March 11, 2011, at the Wayback Machine — in Hemphill, Sabine County, Texas. ↑ "NASA - NASA Unveils Its Newest, Most Powerful Supercomputer". nasa.gov. ↑ John Hardman. "NASA to Name Supercomputer After Columbia Astronaut". nasa.gov. 1 2 "Deep Purple's Shuttle Connection". guitarsite.com. Archived from the original on February 15, 2007. Retrieved February 15, 2007. ↑ Tom Johnson. "Down To Earth – Deep Purple CDs survived Columbia tragedy". Blogcritics. Archived from the original on June 24, 2011. ↑ Dan Benjamin and 5by5 Productions, LLC. "5by5 - Back to Work #31: You Can Polish AC/DC All Day Long". 5by5.tv. ↑ "Eric Johnson's NASA Tone". premierguitar.com. ↑ "ghostlightning" (March 14, 2012). "How to Do Nostalgia in a Badass Way: Cowboy Bebop 19 'Wild Horses'" (blog). We Remember Love. WordPress . Retrieved January 27, 2012. Wikimedia Commons has media related to Space Shuttle Columbia . "Columbia Loss FAQ". Archived from the original on July 27, 2010. Retrieved April 10, 2005. 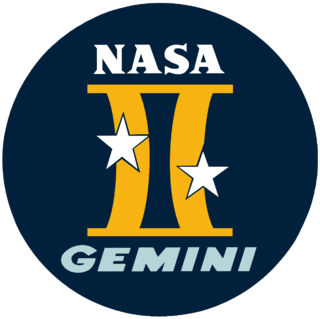 CS1 maint: BOT: original-url status unknown (link), compiled by members of usenet newsgroups sci.space.history and sci.space.shuttle, including some employees of NASA and their respective contractor agencies. Much of the FAQ content has been copied and used by many of the news services without credit given, including Florida Today and Space.com.